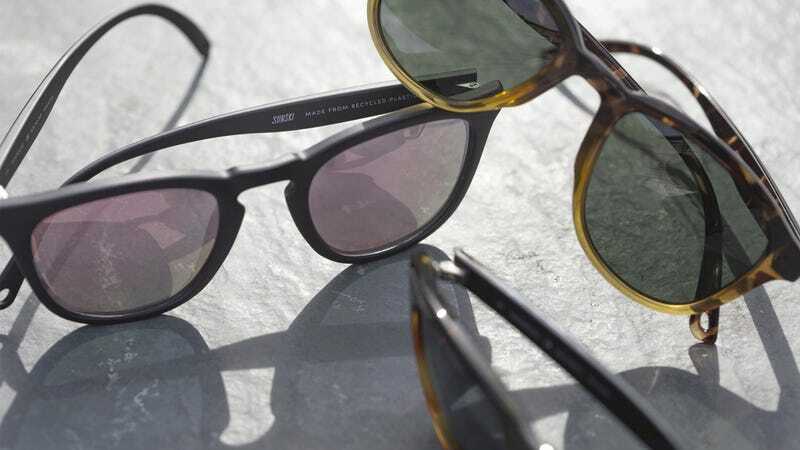 Sunski, the innovative sunglass brand that broke the mold of affordable eyewear, has created three new frame styles that are made from 100% recycled plastic: The Portolas, The Manresas, and The Chalets. Each style still features the brand’s iconic, reflective, scratch-resistant lenses. The Portolas “feature a high nose bridge, accentuated keyhole and thin, low-profile arms” and come in Black Rose and Tortoise Aqua. The Manresas have a “bold, thicker silhouette relies on clean, intentional lines that make a downtown statement without sacrificing performance” and come in Black Tortoise Aqua and Black Tortoise Slate. And the Chalets are “retro-inspired 70s style ski aviators for sea level urban adventures” and come in Grey Sky and Tortoise Forest. So if you already love the durability and wear of your Sunski sunglasses, they just got even better for the environment. Which is pretty dang cool.